As with most any other crop, onions are susceptible to their fair share of pests and disease as well as disorders. Most of the diseases are fungal or bacterial in nature, while disorders may be the result of weather, soil conditions, nutrient imbalances, or other environmental concerns. In the case of onions with streaked or variegated leaves, the cause is most likely a disorder called chimera in onions. 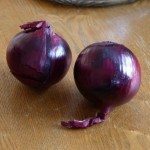 What causes chimera onions and are onions with streaked leaves still edible? If you are looking at leaves of varying shades of green to yellow to white in color that are either linear or mosaic, the most likely culprit is a genetic abnormality called chimera. This genetic abnormally is considered a disorder, although it is not affected by environmental conditions. 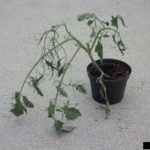 The yellow to white coloring is a deficiency in chlorophyll and can result in stunted or even abnormal plant growth if severe. A rather rare occurrence, chimera onions are still edible, although the genetic abnormality may alter their taste somewhat. To avoid chimera in onions, plant seed that is certified to be free of genetic abnormalities.